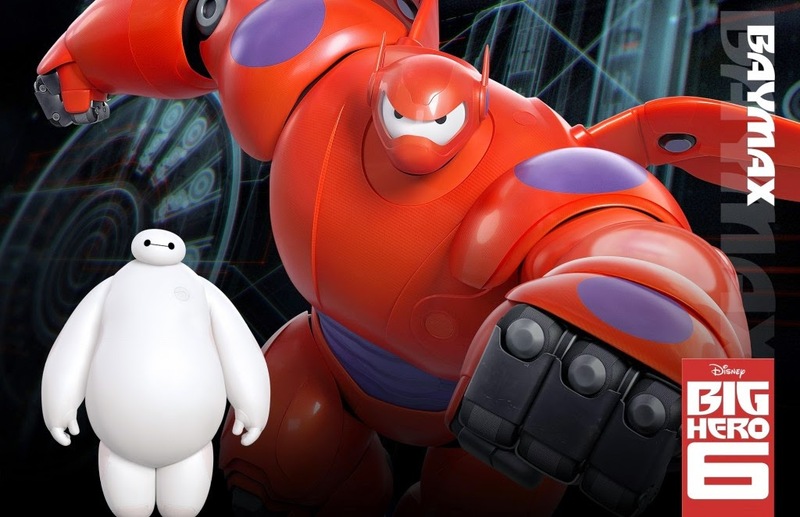 "Big Hero 6" already has premiered in Japan, and they apparently love it. Disney made a cool $250 million in Japan from tickets sold to "Frozen" just eight months ago, so they have a lot to be thankful for from the people of the rising sun. The plot of "Big Hero 6" sees young Hiro, an inventive boy of the future, transforming his inoffensive medical robot Baymax into a crime-fighting demon in order to avenge the death of Hiro's older brother and drive the corruption out of his home town, San Fransokyo. 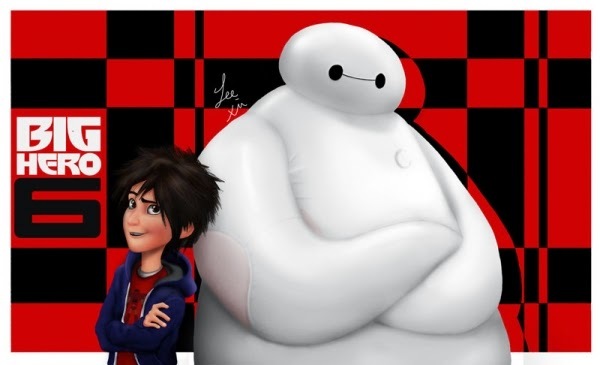 The voice cast of Big Hero 6 includes Ryan Potter, T.J. Miller, Maya Rudolph, and Jamie Chung, and the movie is currently set to be released in North America in 3D on November 7th, 2014. From Walt Disney Animation Studios comes "Big Hero 6," an action comedy adventure about brilliant robotics prodigy Hiro Hamada, who finds himself in the grips of a criminal plot that threatens to destroy the fast-paced, high-tech city of San Fransokyo. With the help of his closest companion—a robot named Baymax—Hiro joins forces with a reluctant team of first-time crime fighters on a mission to save their city. Inspired by the Marvel comics of the same name, and featuring comic-book style action and all the heart and humor audiences expect from Walt Disney Animation Studios, the CG-animated "Big Hero 6" hits theaters in 3D on November 7, 2014. "big hero 6" "big hero six" "big hero 6 movie" "disney's big hero 6" "new" "official" "exclusive" "movie" "teaser" "trailer" "trailers" "2014" "hd" "cbmtrailers" "cbmtrailers" "tv spot" "clip" "movie clip" "featurette" "big hero 6 tv spot" "big hero six trailer" "big hero 6 trailer" "big hero 6 teaser trailer" "big hero 6 official trailer" "big hero 6 movie trailer" "big hero 6 trailer hd" "big hero 6 trailer 2014" "trailer #1" "trailer 1" "big hero 6 trailer #2" "big hero 6 trailer 2" "japan" "japanese" "tokyo" "san francisco" "international" "full" "uk" "full-length" "theatrical" "walt disney animation studios" "disney" "marvel" "san fransokyo" "big hero 6 trailer #3" "big hero 6 trailer 3" "ryan potter" "scott adsit" "t.j. miller" "jamie chung" "damon wayans jr." "genesis rodriguez" "maya rudolph" "james cromwell" "alan tudyk" "daniel henney" "adventure" "animation" "comedy" "family" "school" "action" "robot" "hiro hamada" "baymax" "high-tech" "robotics" "comics" "marvel comics" "cg" "animated" "comic book" "comic book movie" "comic-book" "cbm" "comicbook" "the avengers" "iron man" "marvel studios" "thor" "captain america" "guardians of the galaxy" "hulk" "comic" "metropolis" "3d" "superhero" "cartoon" "walt disney" "crime" "walt disney animated classics" "criminal" "walt disney pictures" "prodigy" "back to school" "major" "pixar" "tangled" "frozen" "cgi" "wreck-it ralph" "hero" "computer-animated" "don hall" "chris williams" "big hero 6 film" "final" "final trailer" "us trailer 2" "trailer #4" "trailer 4" "viral video" "emergency preparedness" "promo clip" "my ninja skills are sweet" "are you ready for some football?" "discover" "i think i can dance" "discovery" "major" "clip 1" "sizzle reel" "nycc" "new york comic con" "big hero 6 nycc trailer" "tv spot #18" "tv spot 18" "characters" "big hero 6 promo clip" "promo" "gogo tomago" "fred" "fredzilla" "wasabi" "honey lemon" "tadashi" "meet fred" "clip 2" "clip 3" "low battery" "sneaking in" "brazilian" "portuguese" "big hero 6 international trailer 2" "international trailer #2" "potugese" "clip 4" "clip 5" "clip 6" "clip 7" "unbelievable" "meet the team" "halloween" "happy halloween" "critic" "critics" "international trailer 3" "japanese trailer 2"